The government of Guinea says the mining protests in the Boké region have subsided after a week and mining companies have resumed normal operations. The protests are understood to have been associated with lack of job opportunities in the region and not directly associated with mining employees. Political leaders are keen to show a safe environment for operators following international investment over the past few months. It revealed details of a $20 billion loan from the China in exchange for concessions on its significant bauxite ore reserves at the beginning of the month. According to Reuters, the loan will be disbursed over twenty years. The loan will be guaranteed by in-country projects 125 miles northeast of Conakry at Boffa including China Power Investment Corp’s (CPI) planned alumina refinery, a bauxite mine operated by the Aluminium Corporation of China Limited (Chalco), and a bauxite-mining project operated by China Henan International Cooperation Group. Money will be used for ifrastructure upgrades. Improvements expected to be funded by the loan include roads in and to the capitol Conakry, enhancements to Conakry’s port facilities, electrical transmission lines, and the construction of a new university. The loan followed the announcement of Chalco’s $500-million investment in a bauxite ore project in the Boké Region, is the first in a three-phase plan that will ultimately yield primary aluminium production. According to Reuters, the Chalco project has been in the works for the past five years and is projected to be worth around $6 billion. According to World Politics Review, China is currently a top global consumer of bauxite, an industrial ore that is first refined into alumina, also known as aluminium oxide, and then smelted into aluminium. 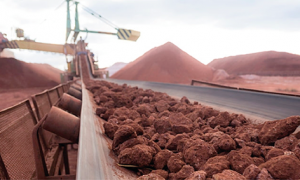 A dwindling domestic supply of the ore prompted Beijing to significantly increase its bauxite imports, which surged from 2.2 million tons per year in 2005 to more than 50 million tons per year last year. China’s demand for bauxite is forecast to remain high for the next 15 years. Reuters reported yesterday (Sept 25) that bauxite mining companies have resumed normal operations in the Boké region as local authorities try to negotiate a definitive end to unrest that has disrupted production for more than a week. Riots have gripped Boké and surrounding towns several times this year as angry youths have pillaged police posts and blocked trains and railroads to protest against electricity cuts and a lack of jobs and services. Mining companies have had to stop and start operations repeatedly over the past week. Despite decades of mineral extraction, Guinea, Africa’s top bauxite producer, remains one of the world’s least developed countries, and the international investment has fuelled anger of young Guineans who want sources say to see tangible benefits from mining revenues. “All mining operations are continuing normally since the end of last week,” said an official at the state agency for the development of mining infrastructure, speaking on condition of anonymity to Reuters.